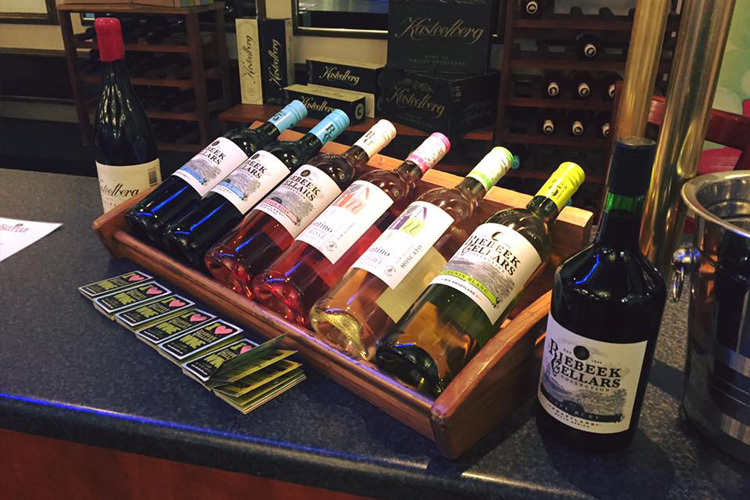 If you are searching for Vaal River restaurants in the Vanderbijlpark or Vaal area, the Liquid Lounge is the restaurant for you. 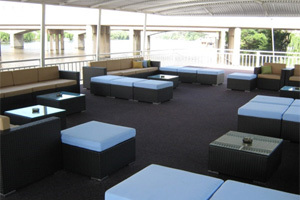 The Liquid Lounge is a luxurious river cruise boat moored at The Emerald Resort & Casino in Vanderbijlpark, embarking on Sunday Lunch cruises on a weekly basis. Enjoy a memorable afternoon out on the river with family and friends, while being spoilt with choice with our delicious buffet spread. 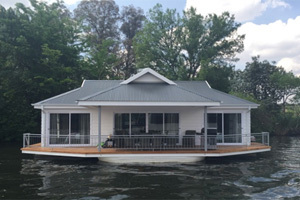 Liquid Lounge is more than just a Vaal River restaurant – you will enjoy a spectacular river cruise down the beautiful Vaal River. Enjoy the wonderful scenery and fresh air with your loved-ones. Book your Sunday Lunch buffet cruise at this unique Vaal River restaurant in Vanderbijlpark – Contact Liquid Lounge today for more information about our lunch cruises, buffet, pricing and more. If you’re tired of regular Sunday lunches in the Vaal, it is definitely time to try something new! 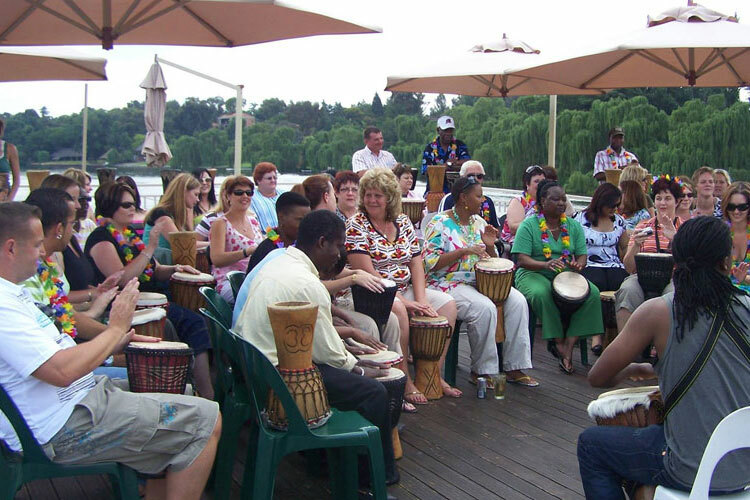 We guarantee a memorable Sunday Lunch Buffet when booking your cruise lunch aboard this Vaal River restaurant. Our qualified chefs will prepare a spectacular buffet spread, with a variety of dishes prepared to perfection. A cash bar will also ensure that you have some cold refreshments while enjoying the company of your family or friends. Our staff members are trained and professional, and will see to it that you have everything you need during your Sunday lunch buffet cruise when aboard this Vaal River restaurant. Our cruise boat is fully equipped with a sufficient amount of toilets, an upper and lower deck, dance floor and DJ / live entertainment. Liquid Lounge’s Sunday Lunch Buffet and River Cruise combo is competitively priced to make it more affordable for our guests. Book your table today! The Liquid Lounge is suitable for almost any occasion. Whether you are celebrating a birthday, in need of a function venue or even looking for a unique wedding venue, Liquid Lounge is the venue / restaurant for you. 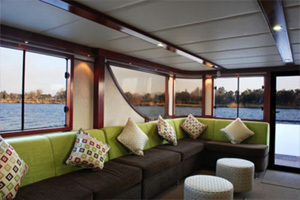 In addition to offering Sunday Lunch cruises, our river cruiser can also be booked for functions and events. Read more about this function venue, wedding venue and conference venue, or talk to a function coordinator today for more information about our function packages. 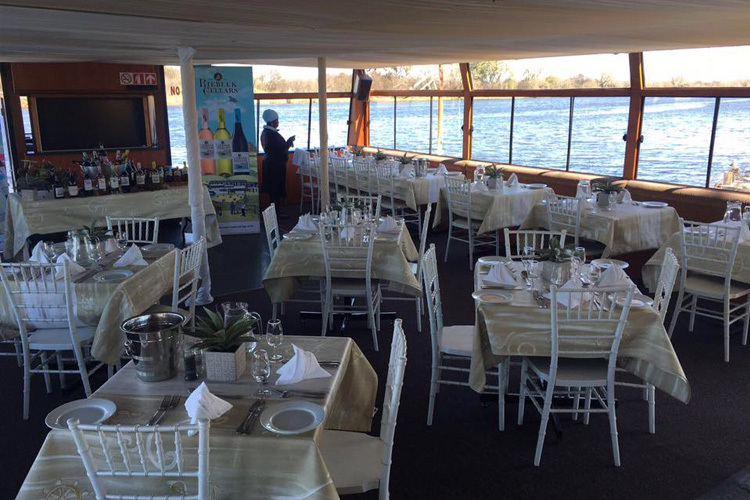 Book your table aboard our Vaal River restaurant cruise boat today! 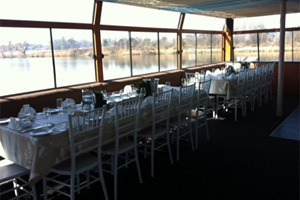 Contact us today to book your table, function or event aboard this spectacular Vaal River restaurant. We will gladly assist with all the information you require before booking your function or event aboard our river cruiser. View our cruise calendar and Sunday Lunch Cruise dates to see available dates. Hope to see you at our Vaal River restaurant soon!